Frosted sugar cookies in the shape of hearts for Valentine’s Day have become as much a tradition in my house as Christmas cookies. But I also love eating them. I know they have absolutely no nutritional value, but part of what makes holidays special is allowing ourselves some guilty pleasures. Posted on February 10, 2014, in Family, My life, perspective and tagged 365 reasons to smile, cookies, musings, perspective, smiles, sugar cookies, Thoughts, traditions, Valentine's Day. Bookmark the permalink. 23 Comments. 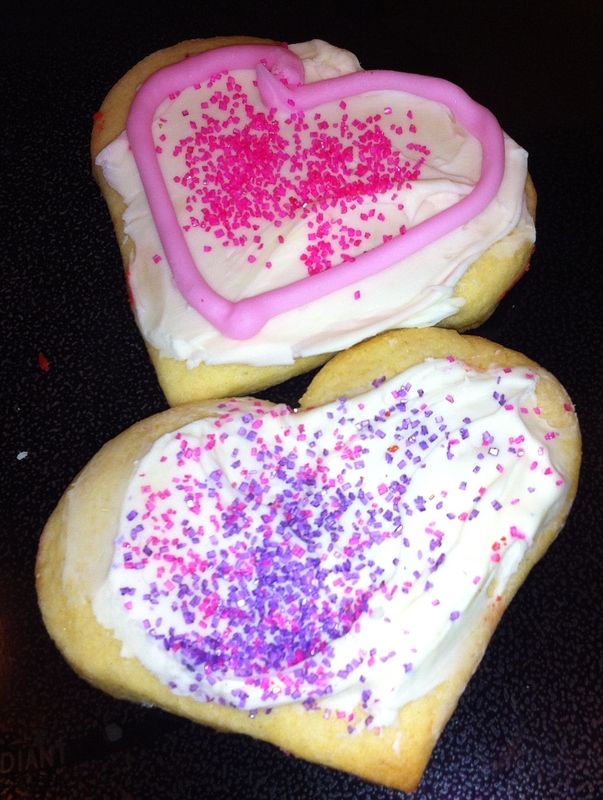 I love sugar cookies —especially hearts!!! Thinking of you today—sending good vibes for Rodney!! !